Branching out in your art business from the primary revenue streams of sales of originals and prints can be a very smart move. It’s all about diversifying your income so that if one gallery dries up, you can still count on money coming in. When setting up passive income streams like print-on-demand products and the other items on this list, it’s important to remember that they can take quite some time to establish and begin bringing in any substantial extra income. For an extremely helpful look at the inner workings of a successful print business, check out our interview on managing a successful print studio with artist Patricia Vargas. 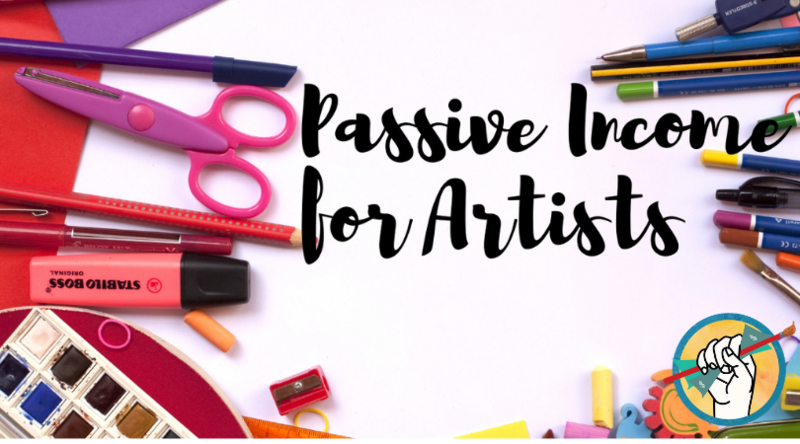 This list of ways to bring in passive income for artists is in part the culmination of a conversation with successful professional artists in our Association. This can be especially helpful for artists whose primary work is very time-consuming and who may therefore go long periods between new projects. Use this list as a starting point to inspire you to get creative with your own business and find new ways to bring in passive income to help you not just keep your business afloat, but thriving! Sell instructional videos. Hundreds, if not thousands, of artists are successfully selling their “secrets” online by creating tutorial videos and selling them as lessons, either individually or in bundles. Use YouTube to share and generate interest in your work, then point fans to your website to purchase access to your tutorials. 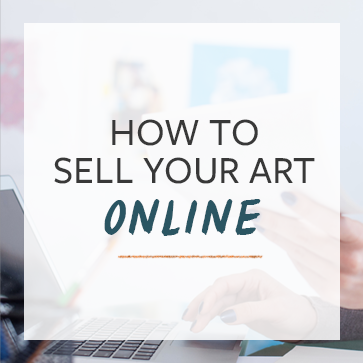 For a list of ways to start selling online art courses, check out our post on how to make money teaching art online. Sell instructional ebooks. In a similar vein, you can compile your techniques and knowledge into an ebook and sell it through your website, Amazon, or even through teaching platforms like Skillshare and Udemy. Create a coffee table book of your art. Once you’ve assembled a substantial portfolio, consider putting your work together into an attractive coffee-table book. You can create one online through a print-on-demand service like Shutterfly or Snapfish, or go with a local printer. Create a subscription service and take payments for previews of new work, WIP videos, wallpaper downloads, exclusive videos, etc. (this isn’t necessarily passive all the time). A common platform for this kind of endeavor is Patreon, but you can also take payments on your own site. For some inspiration, check out the what the top-earning artists on Patreon are doing. Licensing is one of the ultimate passive income options, but it’s a very different beast from selling your art the conventional way. If you choose to go this route it will require a lot of work and research. Check out our interview with Tara Reed on how to license your art. Creating a passive income stream can be a lot of work up front, and may even require a monetary investment. If you’re considering adding passive income to your business, you’ll need to take the time to research which option is best for you. Generally speaking, the correct option is the one you’re willing to stick with for the long haul, because passive income can take quite some time to get rolling. But if you’re willing to put in the work and stick with it, you’ll probably be very glad that you did! How do you bring in passive income for your art business? Did we leave anything out? Let us know in the comments!